Coast to Coast is a family owned fence company serving Pensacola and the surrounding areas. We believe in going the extra mile to build quality fences in our community. You can count on our skill and craftsmanship when getting your fence built by Coast to Coast. We build straight, level fences that are built to last. At Coast to Coast Fence Company we specialize in fence design and installation. We offer privacy fencing, picket fencing, shadow box fencing and aluminum fencing, built to your needs. You can count on your fence being built to city and manufactures code. We use the highest quality material and techniques to install your fence. A-1 Hurricane Fence Industries is owned and operated by the Creech family. We specialize in all types of fencing projects, both residential and commercial with chain link, wood, aluminum, vinyl and composite. With 5 acres of property, we carry an extensive supply of fence products. We have a welder on site to custom build gates to any specifications. We can custom build picket fences with the French Gothic, Gothic and point top styles. We are a locally owned and operated fence company here in Pensacola, Fl. We only believe in building our clients the best of the best fences in town. We take extreme pride in our work to insure you receive the best fence possible for you and your family. Hagan Fence has been serving the communities of the Gulf Coast since 1946. 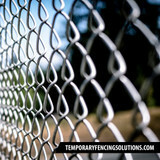 We strive to provide quality fencing products to our customers at economical prices. Hagan Fence is the largest install/wholesale company in the southern states of Alabama, Mississippi and Louisiana. All three locations are here to serve you. From the do-it yourselfer to large commercial/industrial projects. We build all wood and chain link gates in our office, so you will have the perfect gate for your project. 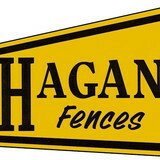 Hagan Fence is your one stop for all your fencing needs. Mitchell Fence Contractors Inc., have been building fences for 30 plus years.Our innovation continues today,we install all types of fence. We work with Residential, Commerical, Industrial and we install custom designed fence. We enjoy meeting new people and providing our services. Gatlin Fence company was established in 1997 by David and Jodi Gatlin, the business idea came from earlier years of working with family in Georgia that were in the fence business as well. After needing a fence project completed in 1996 for ourselves without finding a satisfactory price for the amount of work desired, we decided to open our own company in Baldwin County and change the way fencing was done. We wanted to offer a great product, great service with a hometown atitude at an affordable price. I believe we accomplished our goal and business grew at a rapid pace. By 2001 we were operating in Mobile county as well, business continued to grow and we slowly moved west with our area, by 2006 we were operating along the Mississippi gulf coast to the LA line and as far north as Laurel, MS with sales continuing to grow. By the middle of the recession we were forced to pull back to our original base and only cover Mobile and Baldwin counties. Our employees are highly trained to install fence and communicate with costumers on the job. Good fences make good neighbors, and All American Industries makes good fences. Whether you want a wooden, vinyl, or aluminum fence, we have the know-how and the resources to provide you with the best fence for your home or business. We also build professional decks and provide deck repair services. Welcome to Sadler Pool & Landscaping!!!! We are here to serve you. After thirty one years of experience we have learned one thing about PRIVACY FENCE WORK, DECK WORK and TREE WORK. The customer is not "always" right! Unless we get the job!!!!! Here at Sadler Pool & Landscaping we take pride in everything we do. We make sure to pay attention to details on our Fence, Deck and Tree work. There is a coach named John Wooden that won 12 Division 1 National Titles and 7 of them in a row and he always said. " Pay close attention to details. " When we work with a customer communication is key. We listen closely to give them exactly what they want. As a retired Major League Baseball Player, the Owner of the company Billy Sadler knows what perfection is all about. Commitment, Loyalty, Passion, Drive, Work Ethic, Belief and Making it happen!!!!! All these characteristics are well understood and done well here at SP&L. Your Montrose, AL fence installation and repair professional will work with you to create your ideal fence. Fence installation or replacement. If you are in the market for a brand new fence, a contractor’s services will include walking you through various fence styles and materials, determining a suitable height, ensuring that all fence designs and plans are compliant with Alabama building codes, and that the fencing meets both your stylistic and security needs as the homeowner. Fences and gates must complement the grade of your property as well as the type of soil you have, so the contractor should always plan around these considerations. Additionally, if you don’t know exactly where your property lines are, he or she can commission a survey for you. Find a fence contractor in Montrose, AL on Houzz. Narrow your search in the Professionals section of the website to Montrose, AL fence contractors. You can also look through Montrose, AL photos to find examples of fencing and gates that you like, then contact the professional who worked on them.